As much as I would like to view art as an escape, it’s not. I use my brain (a lot) when I’m looking at art (all types). Of course, I enjoy art yet I’d like to think I glean as much as I can philosophically, psychologically, as well as artistically when attending an opening or a much-anticipated exhibition because it is my hope that a deeper meaning and connection are forged that correlate to my passions. Yet, I’ve wondered, what if my musings and perceptions were to take on some form of currency, would I be hard pressed to return to my day job? Seriously though, even with such a simple act as looking, what if there was some reward? An incentive for looking? Contemporaneously, art is rather demanding, isn’t it? Even with paintings, drawings, and photographs, there is a higher level of skepticism, processing, and perception that adds to the already multi-layered experience of viewing art. With many genres, cultures, and sub-cultures capturing a myriad of ideas in various forms that already add to our growing lists and categories of things in the world, what if there was a way to evaluate art per the user’s experience? What if there was a way to measure and quantify cognitive processing? 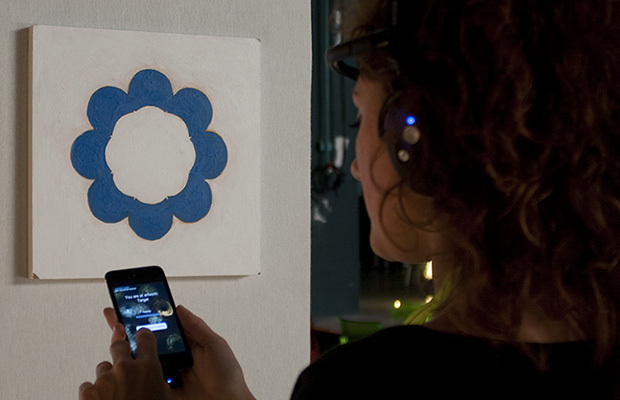 What if your brain activity served as an exchange for something you wanted, maybe needed? With your neural network engaged synapse after synapse regardless of you enjoying or vehemently disliking a work of art, the Acclair Neurocapital Services uses technology to create brain scans of your art experience. Imagine a scientific method that would allow you to see how you process artwork! In turn, helping refine your tastes, allowing you the ability to experience art in a way that is truly interactive, and witnessing the parts of your brain most activated by particular works. Artist, Luther Thie, partnered with Cognitive Researcher, Eyal Fried, and created the Accalair Neurocapital Services, which involves brain scanning and looks at neurological processes to somehow transform what we see into “biometric currency”. I have yet to put on the brain scanning device but I’m awfully intrigued to see what my scans would say about me, my preferences, or what emotions are triggered. As innovative as the project is, it steps far into the realm of science where beauty and genius become demystified by our collective experiences (i.e., data collection and metrics) and presents a new way of governing ourselves. Yes, I used the word governing because even tastes and preferences can be controlled (Maybe not in the Western world but I’m also thinking historically. Art has been used to govern and/or teach people ideology. I also realize this is a whole other issue so I’ll try to stick to the topic at hand). Imagine if this device were used by people who wanted to see a sampling of individuals intellectual and emotional reactions to some sort of propaganda? I know, crazy thought but just throwing it out there. As much as I admire and see the value in the neurocapital services project, there is a part of me that feels discomfort in seeing my profound love or dislike (for something I may or may not be able to even explain) as a cluster of data. I would, however, love to see the brain scans morphed into a project later on down the line but I’m sure there are other important aspects of the project that have yet to be fleshed out. Either way, the Acclair project has certainly caught my attention and here’s hoping I get a chance to physically see arts effects on me in the near future. Posted in Art, Art and Technology, Multi Media, Neurology and tagged as acclair neurocapital services, Art, art evaluation, art valuation, bay area, cognition, data collection, human cognitive processes, perception.